We are located in a multi business facility. 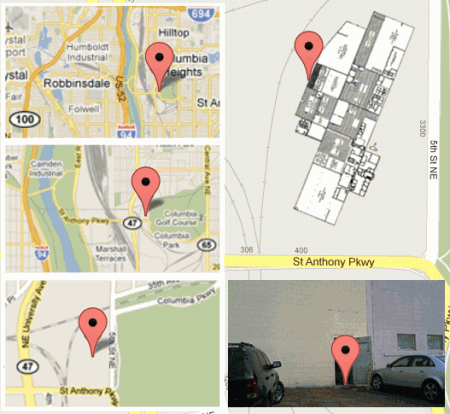 See image pins below for the exact location of our door. You will drive around back thru no trespassing signs along the railroad tracks.. You will see a pink brick wall area with a small blue door, then a garage door to the left of that, then another yellow door about 50′ left of that which is our door.